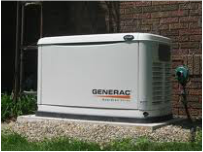 Why the need for a standby generator in Rhode Island? to either a storm or utility problems in RI. or business fоr оnlу а tеmроrаrу реrіоd оf tіmе. generator for either your home or business. of any power outages in Rhode Island. 24/7 service, when you need it. Generac generators. At Cox Electric, not only are we an authorized Generac dealer, but we've been awarded as Rhode Island's ONLY Premier Dealer.